As longtime fans know, comic prices have risen greatly over the years. While I’ve written about this before, I thought I’d take an updated look at how comic prices have risen over the years. 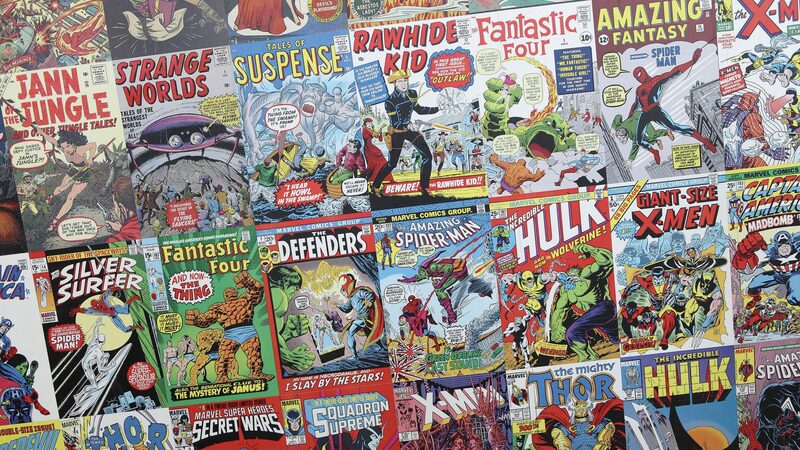 Comics analysis site Comichron wrote an article listing the average prices of comics (based on DC, Marvel, and Archie) for each year since 1961. That’s the final year comics stayed at 10 cents, the price they’d been since the modern comic book dawned in the 30s. Comics publishers had initially just reduced the amount of pages rather than raise prices. However, since American comic book page lengths stabilized at what they are now in the 50s, they finally decided to start raising comic prices. Below is the price of comics every half-decade since 1960. I’ve also listed their inflation-adjusted prices (using an inflation calculator) in 2017 dollars. Comic cover prices have skyrocketed over the past 30 years. Prices have stayed above $4 in today’s dollars (a slight dip in 2005 aside) since 1995. The biggest jump seemed to be between 1985 and 1990; both cover prices and inflation-adjusted prices roughly doubled in just five years’ time. The above doesn’t account for the various gimmicks comics have tried since the 90s. These include heavier reliance on crossovers, special enhanced covers, and shipping two issues of a title per month. Of course, comics in the 60s and 70s put out occasional extra-sized issues (DC’s “80-Page Giant,” plus the usual annuals). The Unbeatable Squirrel Girl #11 (October 2016). Art by Erica Henderson. “Batman, vol. 1: I Am Gotham” (Rebirth). Published January 2017, it has a cover price of $16.99 and reprints seven comics, or $2.43 an issue. 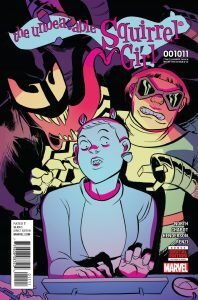 “The Unbeatable Squirrel Girl, vol. 4: I Kissed a Squirrel and I Liked It.” Published December 2016, it has a cover price of $15.99 and reprints five comics, or $3.20 an issue. “The Walking Dead, vol. 27: The Whisperer War.” Published March 2017, it has a cover price of $14.99 and reprints six issues, or $2.50 an issue. Those, of course, are the standard cover prices. Places like Amazon usually sell such trades for even less. Another cheaper source of comics are the occasional sales of digital comics (and digital trades) on Amazon or Comixology. There’s also the Netflix-like Marvel Unlimited service for $10/month or $69/year. But either way, it’s cheaper to wait to buy comics in collections versus as single issues. Unfortunately, DC and Marvel mainly consider sales (and which books to cancel) based on the buying or pre-ordering of (mainly paper) single issues, which seems old-fashioned and short-sighted. That said, one should buy comics however one sees fit, whether it’s trade-waiting, digitally, or going down to a local comic shop every Wednesday. For me, it’s usually the first two these days, for both convenience and to save money. Interesting how comic book prices have doubled between 1985 and 1990. 1990 is about the year when I waned off collecting comics. As a high school sophomore, the prices got to be too much for me to pay. This is a great article, exactly what I was looking for. I wonder if the low price in the 50s/60s was influenced a lot by the market for comics booming at that time… In essence, mass production.